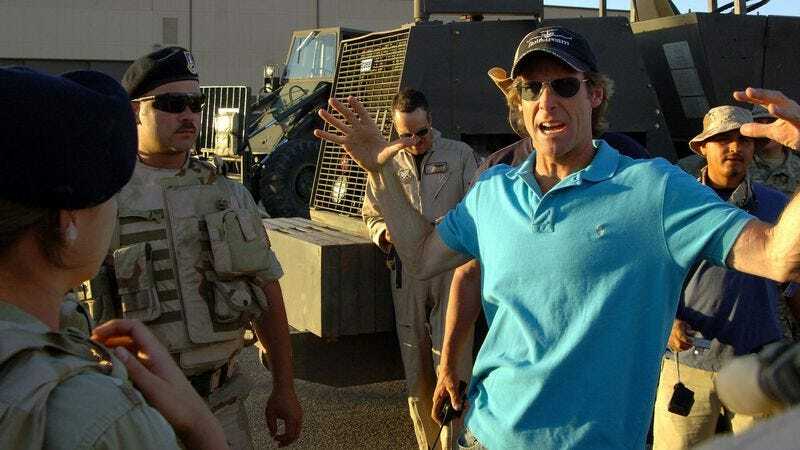 Despite his claims to the contrary, it seems Michael Bay’s not ready to hand over the keys to the Transformers franchise. In a recent interview with Rolling Stone, the bombastic director confirms he’ll helm the next installment of the cinematic clash of souped-up titans. Bay’s currently promoting 13 Hours: The Secret Soldiers Of Benghazi, which appears to be a (slight) gear shift for the director, who just over a year ago shared his plans to back away from the world of Autobots and Decepticons to head in a “new direction.” Well, that direction turned out to be “in reverse,” because Bay lists Transformers 5 as one of his current projects, along with that sequel to his Teenage Mutant Ninja Turtles reboot. Lest you think Bay is not a man of his word (which is probably “KABOOM!”), it seems he has only agreed to task himself with telling another chapter in the gripping story of toys come to supersized life because he’s “the only guy that could do this.” He’s actually quoting J.J. Abrams there, presumably because he seeks Abrams out for career advice. But Bay claims he’ll really only stick around for one more, despite the fact that it’s “fun to do a movie that 100 million people will see.” Bay iterated that the time has come to “pass the reins to someone else”—that is, unless Roland Emmerich takes him out for lunch to remind him of all the things he hasn’t blown up yet.